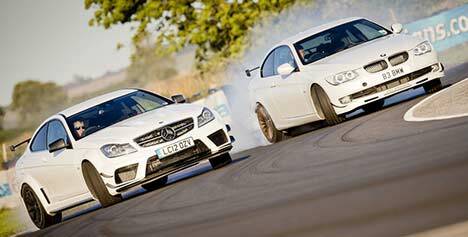 As part of evo’s Car of the Year competition, the magazine pitched a pair of track-focused German Coupes against each other; Mercedes’ C 63 AMG Coupe Black Series and the Alpina B3 GT3. The GT3 uses a bi-turbo 3.0-litre six-cylinder engine developing 300 kW (408 hp) and 540 Nm of torque, allowing a 0-100 km/h time of just 4.6 seconds, while the Black Series is good for 380 kW (517 hp) and 620 Nm metres and is 0.4s speedier, but uses a naturally aspirated 6.2 litres do do it. 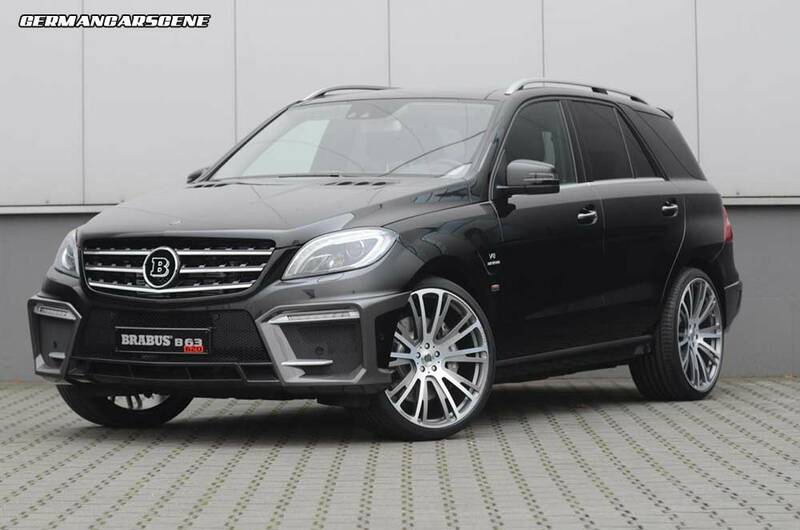 Brabus has revealed another Mercedes-Benz SUV program ahead of its Essen Show début, this time for the ML 63 AMG. Powered by that glorious 5.5 L V8 biturbo engine, developing 381 kW (518 hp) and 700 Nm of torque in standard form, Brabus adds its B63-620 PowerXtra module, which remaps the injection and ignition and increases boost pressure, and fits a stainless steel exhaust system with butterfly valve, resulting in 456 kW (620 hp) and 820 Nm. Those changes mean 100 km/h appears in a scary 4.5 seconds and top speed is limited to 300 km/h. 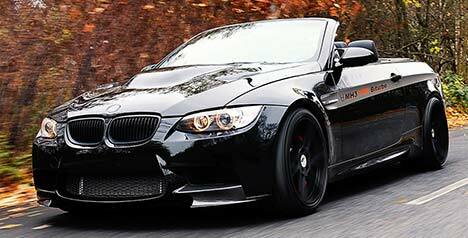 Visually, there’s a front spoiler and rear fascia with clear-coated carbon fibre diffuser. Owners who need a little extra girth can opt for the company’s Widestar arch kit, which adds 6 cm to the vehicle’s width. Five styles of wheel are available in sizes up to 23-inches, including the Monoblock R and Monoblock G items shown here, while the air suspension is adjusted by an electronic module. Moving inside, Brabus can reupholster the cabin to suit any specific requirements, using materials including leather Alcantara, wood and carbon fibre. 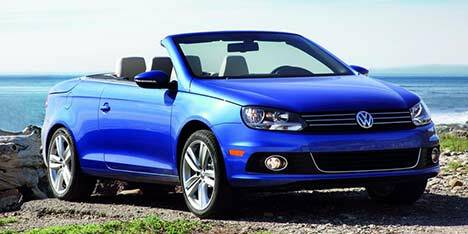 Try not to shed too many tears when we tell you this, but Volkswagen has announced that the current Eos model will be the last one. Also, anyone hoping to see a production version of the BlueSport Roadster concept is going to be sorely disappointed, with Bischoff calling two-seater mid-engined sports cars “a boy’s dream.” “It is not feasible financially and you won’t get anyone to implement such a project when the markets are falling so dramatically in Europe,” he said. He did, however, reveal that his team was looking at a larger open-topped model, but it was a long way from being a reality. “There’s definitely room in our line-up. The problem with such ambitions is that all our existing factories are at full capacity, so any new additions means building new factories,” said Bischoff. 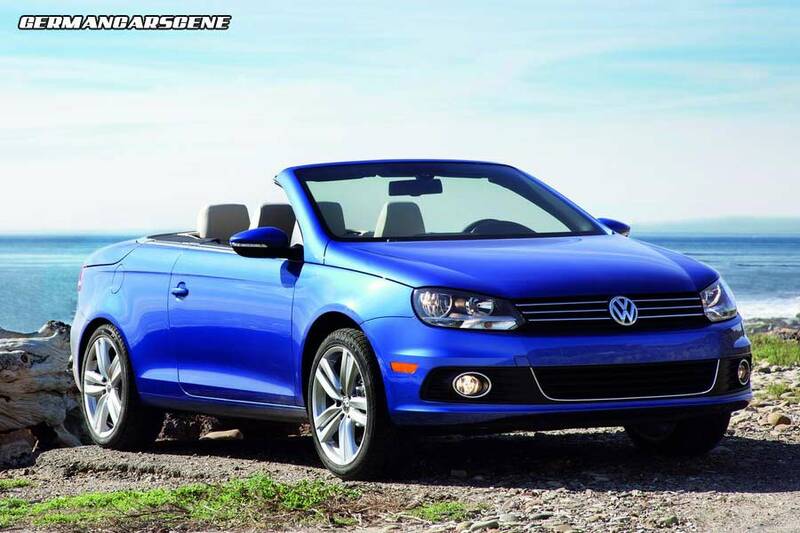 Personally we’d be interested in seeing a convertible version of the CC. 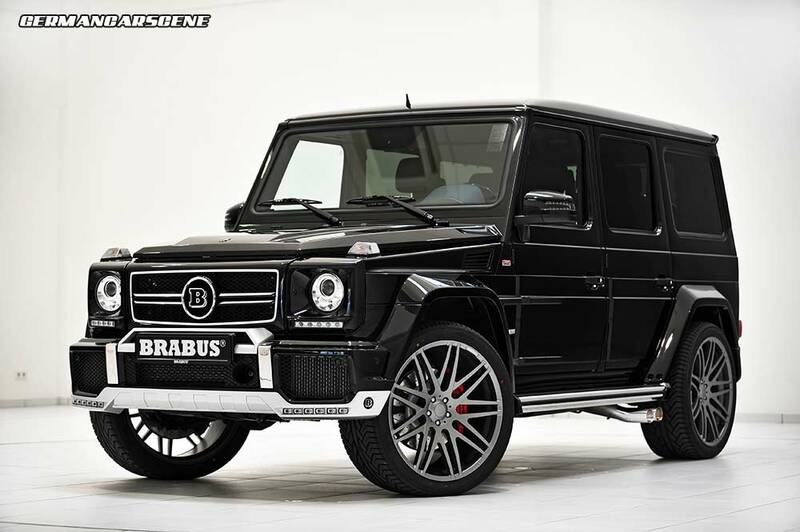 Bottrop tuning specialist Brabus has revealed the new B63 – 620 Widestar program for the Mercedes G 63 AMG ahead of its Essen Show début this week. 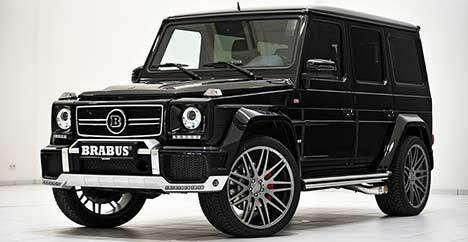 Visually, the G-Wagen wears a new front spoiler with integrated LED lights, radiator grille insert with Brabus emblem, fender flares adding 12 cm to the vehicle’s width, stainless-steel running boards, roof spoiler and a rear fascia with underride guard. A wide range of alloys wheels are available, including the Platinum Edition Monoblock F designs pictured, which measure 11 x 23-inches, while the Brabus Ride Control suspension system, featuring automatic damper adjustment, detects speed and lateral forces before choosing the optimal setting for the situation. The company’s B63-620 performance upgrade centres around B63 – 620 PowerXtra software and a stainless steel exhaust system with butterfly valve, which sees output from AMG’s sinewy 5.5-litre V8 biturbo engine rise from 400 kW (544 hp) and 760 Nm of torque to 456 kW (620 hp) and 820 Nm. Those changes see the 0-100 km/h time drop to 5.1 seconds, while the top speed is limited to a relatively stationary 230 km/h (143 mph). 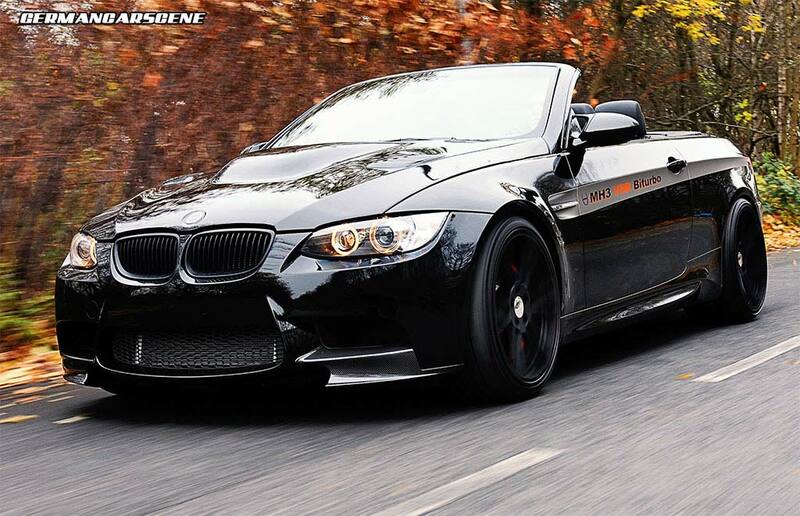 The psychopaths over at Manhart Racing have really excelled themselves this time with their latest program for the E92 BMW M3. Rather than tune the M3’s factory engine, Manhart chose to go big by implanting the twin-turbocharged 4.4-litre V8 and 6-speed automatic transmission from the X6 M SUV, but it didn’t stop there. Remapped ECU software, along with stainless steel downpipes and a titanium Akrapovic Evolution exhaust system with a 200 cpsi sports catalytic converter sees output raised from 408 kW (555 hp) and 680 Nm of torque to a furibund 488 kW (655 hp) and 975 Nm. Sensibly, a differential lock has been fitted and the V-Max has been removed, meaning a top speed of 320 km/h is possible. 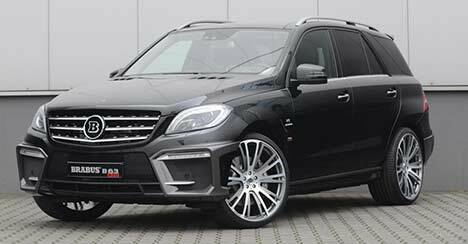 Chassis upgrades include a KW Variant 3 coilover suspension kit and the X6 M’s braking system with 396 mm and 374 mm cross-drilled discs, while the original wheels make way for a set of Manhart’s ultralight Concave One forged wheels, measuring 9 and 12×20 inches and wrapped in 255/30 and 305/25 tyres. Visually, the M3 wears BMW Performance flaps, carbon fibre mirror casings, rear diffuser and replacement hood with GTR air intakes and suggestive bulge. This wide-bodied Mercedes CL 63 AMG is the latest customer project to roll out of Famous Parts’ workshop in Ratingen, Germany. The flamboyant body conversion focuses around a Prior Design Black Edition package, which includes a front bumper with replaceable lip spoiler and mesh grilles, ventilated front fenders, hood, side skirts, rear arch extensions, a back bumper with diffuser and boot lid spoiler. 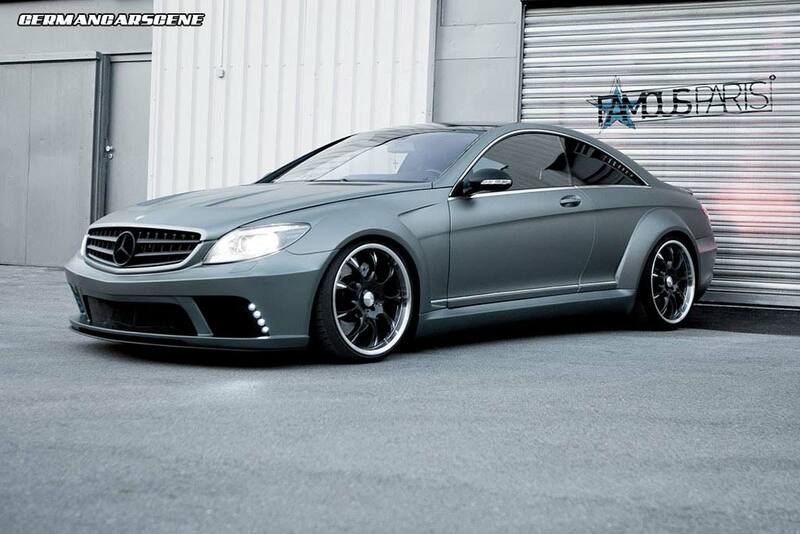 A Frozen Grey wrap completes the bodywork, while an electronic lowering module drops the Coupe over a set of 21-inch Brabus Monoblock E wheels wrapped in 265/30 and 305/25 Continental Sport Contact tyres. Remapped ECU software and a new exhaust system helps to release an additional 63 kW (85 hp) from the 6.2-litre V8 engine, taking output to 455 kW (610 hp).